The Elder Scrolls series has always been steeped in a rich and vibrant history, and The Elder Scrolls: Legends is no different. Legends places you right into the world of Tamriel through an engaging story, familiar characters and colorful setting. 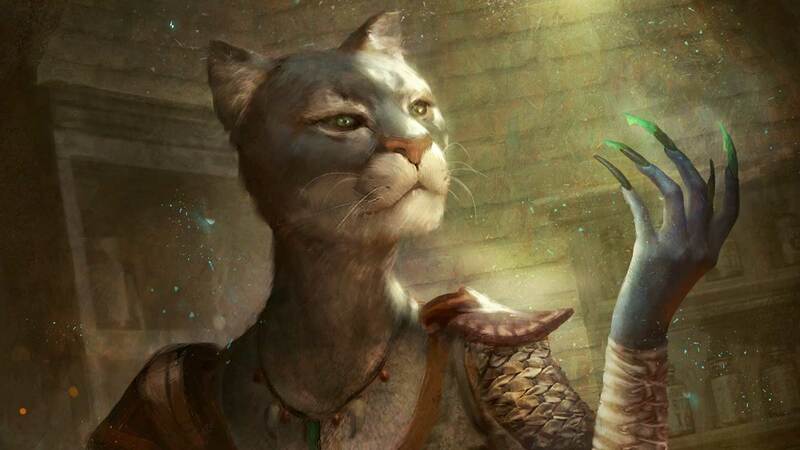 Elder Scrolls fans will encounter their favorite races, characters and creatures through the rich campaign as well as deckbuilding, and players new to The Elder Scrolls are in for a fantastical treat. The world of Tamriel is full of magic and mystery. Experience the familiar setting in a completely new way through The Elder Scrolls: Legends’ single-player campaign. Revisit the Imperial City and the White-Gold Tower from Oblivion, along with other memorable locations. In Legends, the game’s play mat will be your window into Tamriel’s vast civilizations. With such a massive world, the developers at Dire Wolf Digital had an abundance of inspiration when selecting which of the exotic ancestries would appear in the game. Legends has 10 player races to pull from when creating decks and player avatars. Ranging from the reptilian Argonians and feline Khajiits, to a wide array of elven lineages and orcs – along with the more human Nords, Bretons and Imperials – players will have endless amounts of fun figuring out who will lead them to victory. Plenty of strategy is involved in making your character selection, or selections. A “choose two” deck-building setup allows you to pick from two of the game’s five attributes – Strength, Agility, Intelligence, Endurance and Willpower. Each combination of attributes will give your deck a special “class” like Scout or Spellsword, along with many others that you may recognize from other Elder Scrolls games. 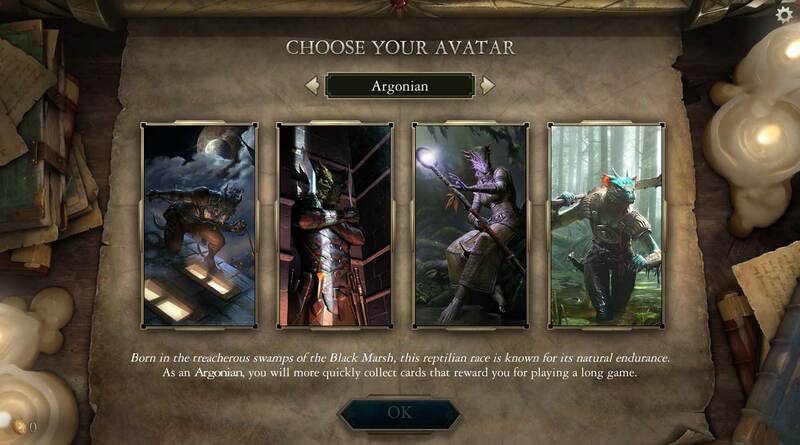 The avatar you select – whether it’s a High Elf or a Nord – will have no impact on the cards you can play or the types of decks you can build, but your avatar will accelerate your card collection toward cards that fall into its race’s theme. 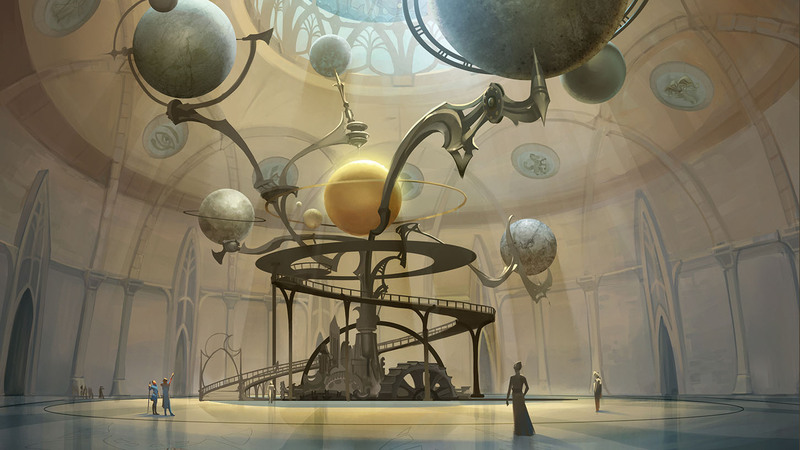 Each of the ten major races of Tamriel is represented in the card set, and each has a distinct mechanical theme. For example, if you’re a Redguard, you’ll more quickly collect weapon cards and creatures that benefit from weapons. If you do find yourself fancying a particular race when it comes to cards, you can start building your decks around that. “If you’re really into Bretons, for example, you’ll find them in the Intelligence and Endurance attributes,” explains Paul Dennen, Creative Director at Dire Wolf Digital. Or maybe you’re a fan of certain types of creatures like goblins and the undead. These can also be found in specific attribute sets. You’ll find goblins only pop up in Agility, while the undead will be in Intelligence and Endurance. Also staying true the series’ roots, you’ll be able to make some choices as to how you want the game to play out. Beyond selecting your avatar and building your decks, you’ll have the opportunity to make decisions throughout the campaign that will reward you with different cards depending on the choices you make along the way. These decisions can even affect how you approach the Battle and Arena modes, which you can learn more about in this feature. With a campaign that spans across time and borrows from different regions, Legends has an abundance of lore, characters, items and creatures you’ll discover. See the familiar world of Tamriel through an entirely new lens – and become a legend on the battlefield.